This video series features 5 things Dr. Wiggy hopes pediatricians will one day teach parents. It’s controversial. It’s informative. It will help you consider your family’s best interests and options. All about Wiggy’s thoughts on vaccines… and why it’s not all black and white. Fact: Children are the fastest growing group of people who are being written prescription medications. How does Dr. Wiggy feel about this and is there a better way? Why Dirt and Dirty Things Aren’t the WORST thing for your kids. Emily is the co-founder of both Momsanity and Raise Them Well. 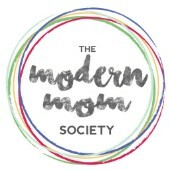 Momsanity is an online community of moms who prioritize motherhood, faith, fitness and nutrition. In addition to their online community called the Momsanity Sisterhood, the company produces natural supplements for busy women. Raise Them Well is a partnership between Emily and her husband Wiggy, an integrative MD. The company has quickly become a favorite among parents seeking innovative natural and toxic-free products for kids and families. Emily and Wiggy have been married for almost 12 years and have two wild boys, Adler (4 ) and Hutch (15 months).